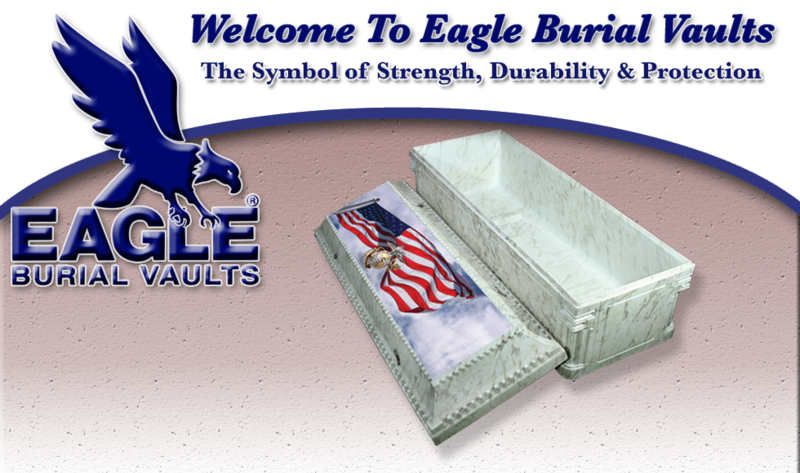 Eagle is proud of those who have served our country. 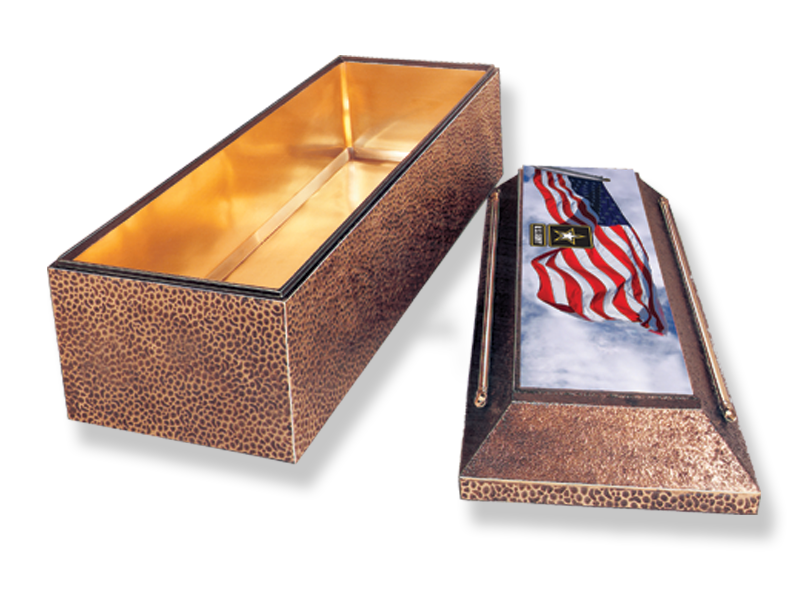 So to honor their memory, we designed the Valor Collection of handsome vaults offered in traditional military colors with valor trim. 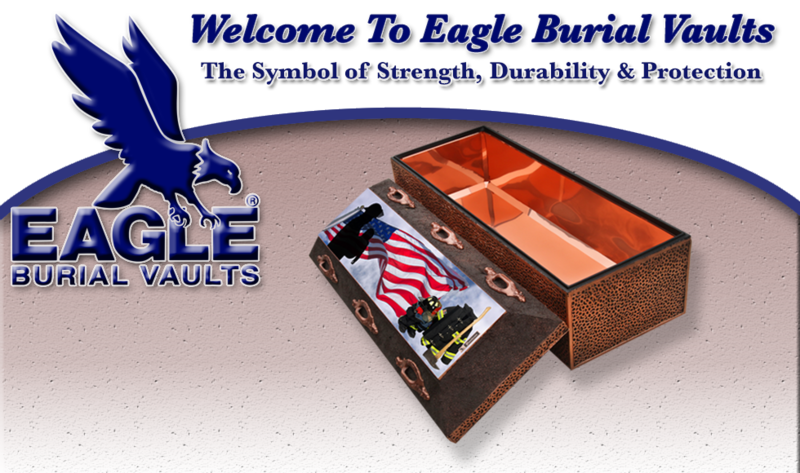 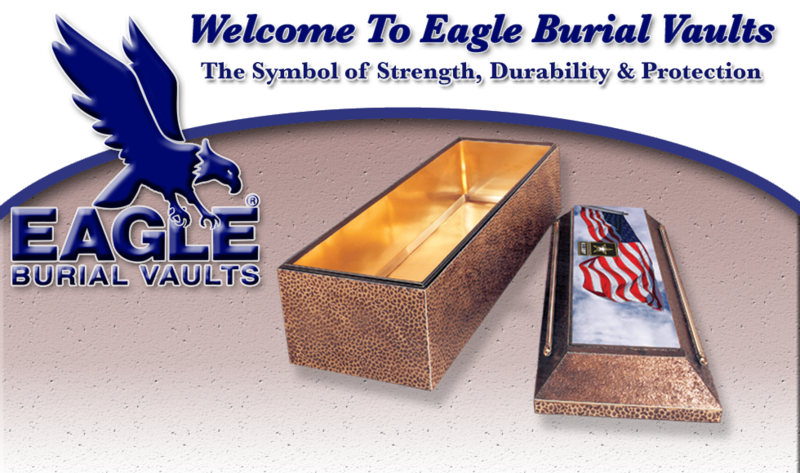 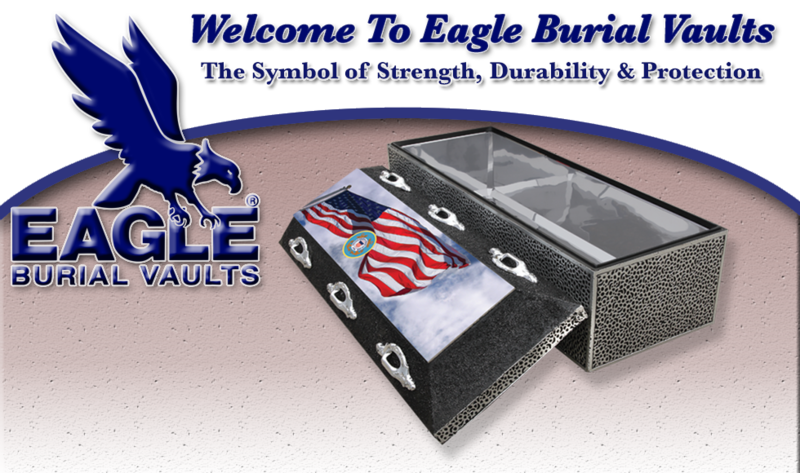 Each of these vaults offers the unique combination of rugged strength and warranted quality Eagle has been known for since 1928. 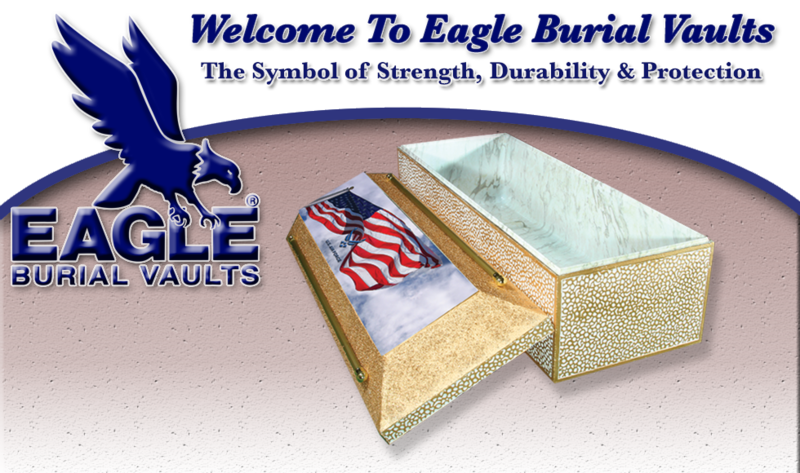 Each Valor Collection vault is crafted from over one ton of reinforved concrete, combined with our exclusive Duratite, Martite or Grantite liners. 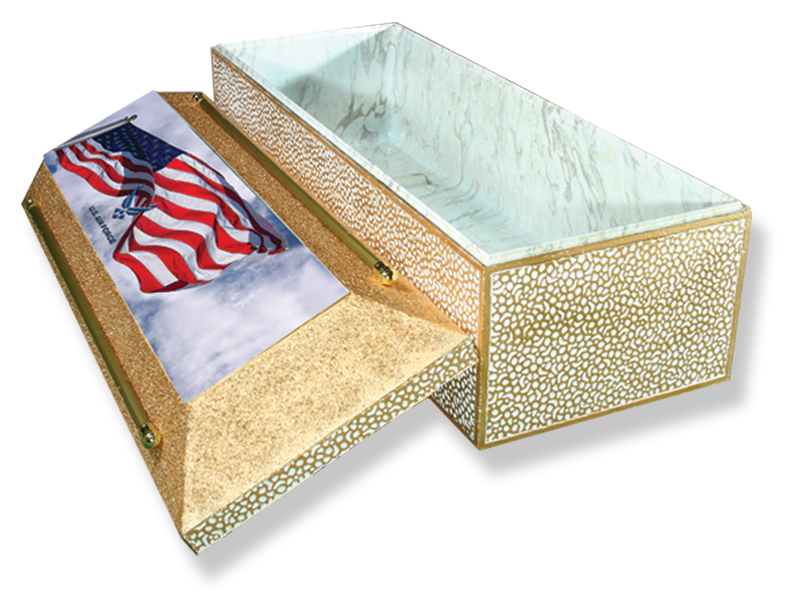 Then, sealed with special butyl rubber compound and our tongue and groove design for extra protection, and extra peace of mind. 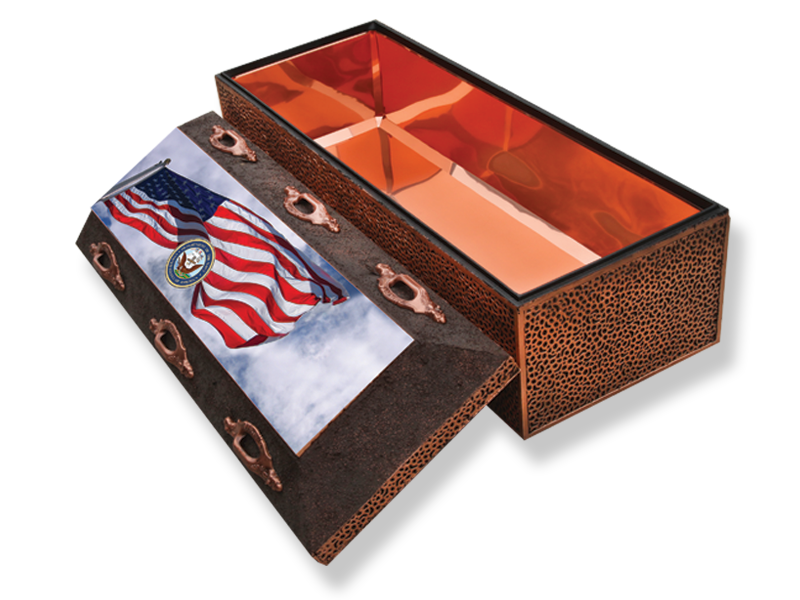 Each Valor Collection vault includes your choice of 6 service insignias and a customized decorative nameplate. 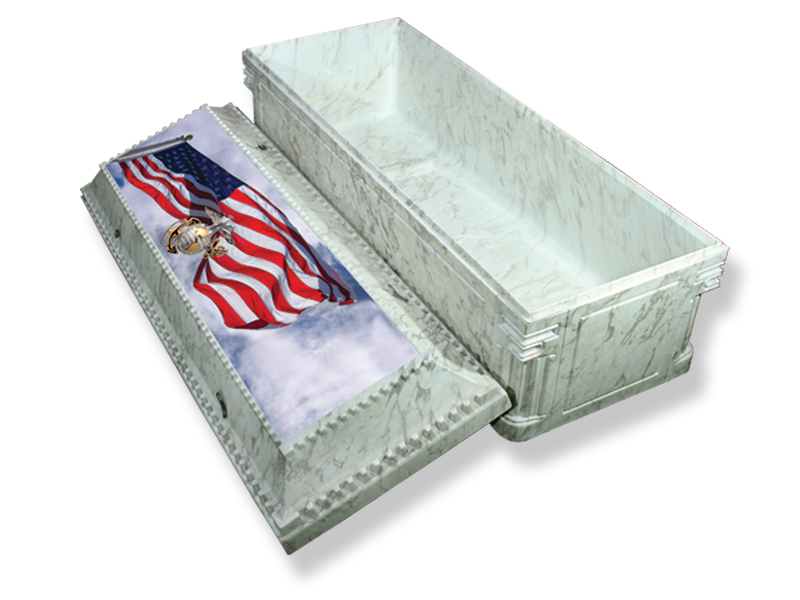 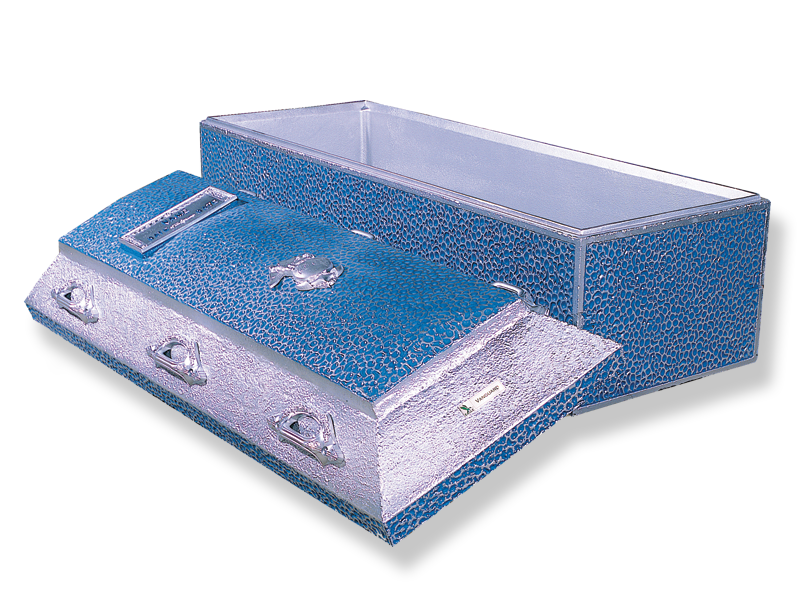 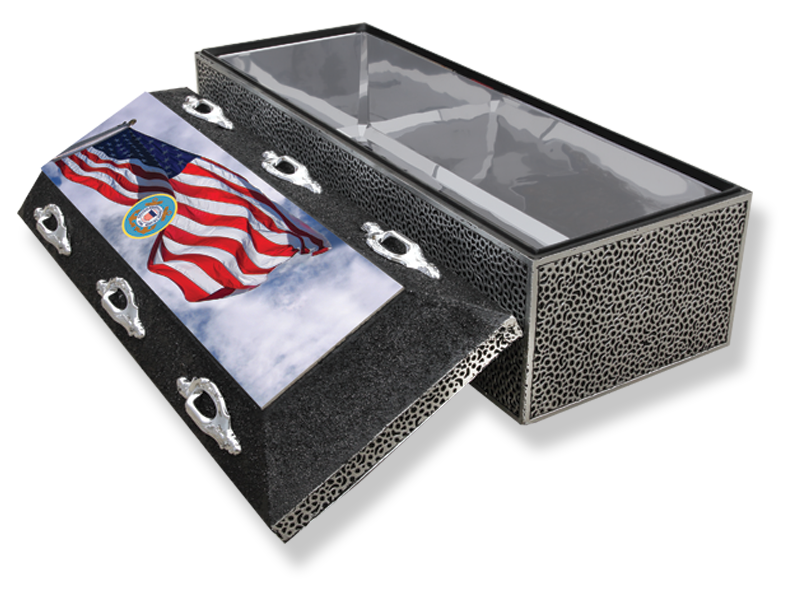 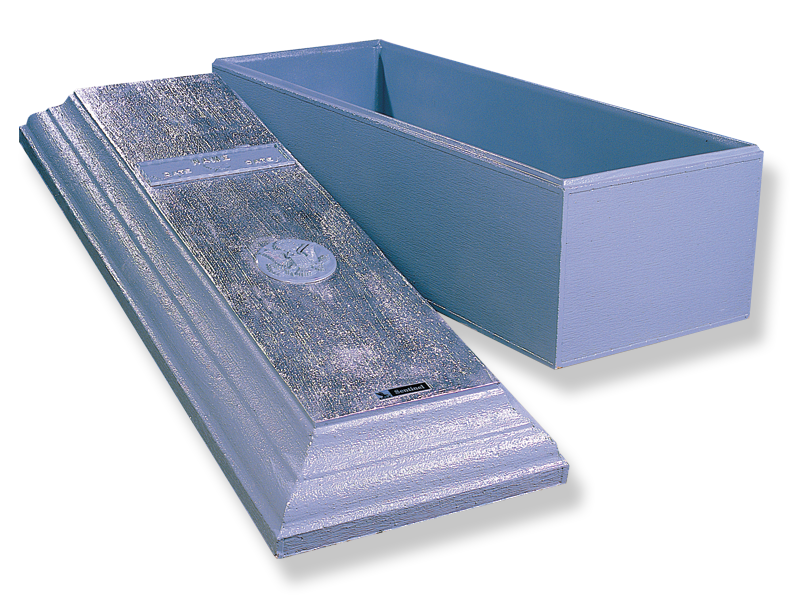 Six handsome casket-style handles and also enhanced by a personalized name/date plaque and your choice of service insignia. 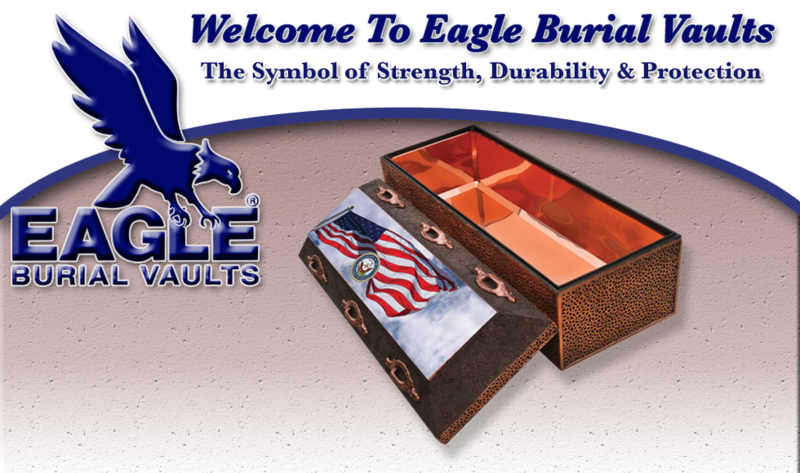 Personalized name/date plaque and your choice of service insignia.